X-RAY: Limb is X-rayed in order to identify the break and exact position. 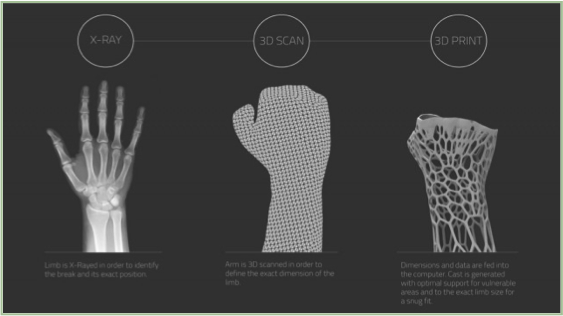 3D Scan: Arm is scanned to provide the exact dimensions of the limb. 3D Print: Dimensions and data are fed into the computer, Cast is generated with right optimal support for vulnerable areas and to the exact size for a snug fit.